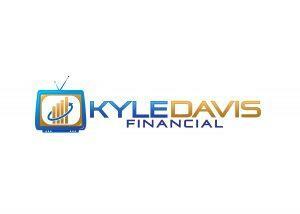 This is Kyle Davis, owner of Integrity Financial Group. I’m a financial advisor in Orlando, FL who is ready to bring you something special! I’m very excited to announce a project I’ve had in the works for some time now! Starting in July, I will be launching a video-based financial education website designed as a totally FREE service to our clients and the general public! Financial planning and financial services in general has never been a very approachable or enjoyable topic. It’s usually very intimidating and most people would rather not go down that path at all! This “video blog” as I’ll be calling it, is here solely for your benefit as an up-front value add, bringing you useful, engaging, and FUN video lessons to help you thrive in your own personal financial journey. The video lessons on financial planning and financial wellness will be available on our custom website at www.kyledavisfinancial.com or on our YouTube channel. The website link should go live very early in July! Oh, and one more thing. There’s going to be a box on the video blog homepage to enter your email address. This will get you on the “VIP List”. Sign up for my VIP Program today and be the first to receive my latest and greatest as it releases. Don’t want to be a part of the VIP Program? NO PROBLEM! Just head on over to the website and browse on your own time…I will be sending bonuses and freebies to my VIP’s though, so I’d highly recommend throwing your name and email into the hat. It’s FREE! I hope you enjoy watching and sharing these lessons as much as we’ve enjoyed making them!